Fisker is back with a car they are extremely adamant is not an updated version of the car that put them out of business years ago. Fisker’s old cars might have been flawed, but they were gorgeous. We all wanted them to be good. The new one is, hm, less so. Just look at this face. Look at it. How did the same guy who made the BMW Z8 and the Aston Martin DB9 make such a mishmash of squiggles. This looks like a ‘90s Pontiac concept car. This looks like a Hot Wheels. Fisker claims this car will have some revolutionary eco-friendly drivetrain, much as the last one had a very cool series hybrid drive. The car was moved by electric power alone, and the batteries were charged by a GM four-cylinder gas engine that was also onboard. This new one is supposed to use graphene supercapacitors as we have reported before. 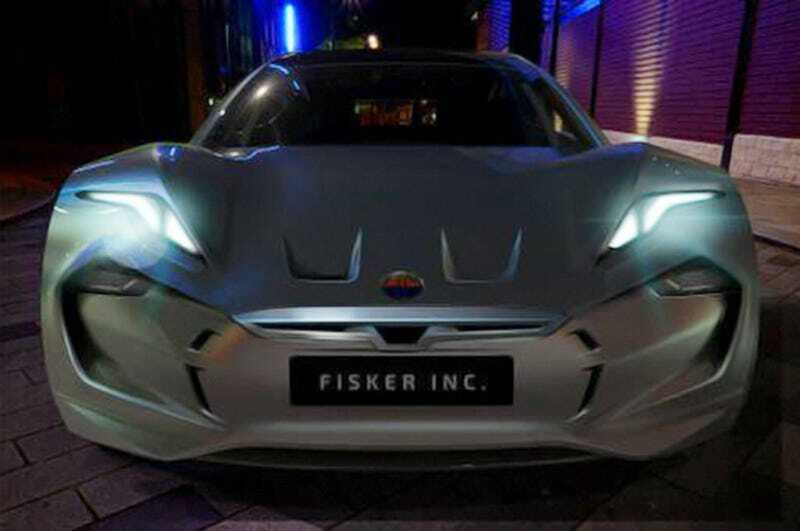 Hopefully these new Fiskers don’t burst into flames like the last ones did. At Least The Doors Are Cool?